Twenty-one year-old Ken Achs opens his first business, Mid-West Automotive, an automotive parts, speed and custom parts shop, located at 732 Broadway Avenue. To diversify Mid-West Automotive’s business, Ken expands the company into the paint and auto body business. A full paint job for a Volkswagen was worth $29.95. Mid-West purchased its first piece of residential real estate, an apartment building located at 1612 Main Street in Saskatoon. Ken took a road trip to California and saw drag racing and came back and built a dragster, a “C-Gas” dragster with an injected 327cid small block Chevy engine. Ken raced the car in Calgary, Edmonton and Winnipeg and was also the first car to go down the new Saskatoon drag strip, Southwind’s Dragway (now Saskatchewan International Raceway). He was hooked on racing. With a desire to go much faster, Ken bought a Top Fuel car from Ed Norton of Seattle. This was the first Top Fuel car in Saskatchewan and he won virtually every race he entered across the prairies that year, competing against US drivers. Ken bought a Top Fuel chassis from Tom Hoover in Minneapolis and built himself a Top Fuel Dragster, the Mid-West Express. The car was powered by a blown, nitromethane burning 354 Chrysler. Ken turned the Top Fuel car into a business venture, charging $700 a weekend to race locally against famous American Top Fuel drivers, making a name for himself. Ken ran this car for for three years, sweeping every race he entered in Canada. He set the low elapsed time and top miles-per-hour marks at the Canadian Nationals in 1968. Ken raced his Top Fuel car and Funny Car along many stops in the Western US including Seattle, Spokane, Yakima and Walla Walla in Washington, Eugene in Oregon and Long Beach, Orange County and Fresno in California. His weekends were occupied by hauling his car halfway through the continent to race. Between work, racing and watching his kids grow, there was never a dull moment. Mid-West diversifies its business and opens a muffler shop to complement its auto parts and auto body businesses. With new-found business from the muffler shop, Ken determined that he needed more room and hired a contractor to build him a new building on 8th Street East. The contractor was “no good” and Ken fired him and had no choice but to build the building himself which he completed in 30 days. Mid-West built many buildings, some for its commercial portfolio and some as a contractor. Mid-West still owns many of the original buildings Ken built in these early days. Ken purchased a Top Fuel Funny Car chassis from Ed Norton, which he covered with a 1971 Dodge Challenger body and powered with a 426 Hemi. Ken and several other body shop owners joined together and formed their own supply company, Auto Body Specialties, a company that Mid-West has a majority share in. Needing to expand his body shop operations, in 1977, Ken constructed a new body shop, the largest in Saskatoon. The building is still operating today as a successful body shop some 40 years later as “Mid-West Meidl”, as a result of a business venture with Honda dealer Randy Meidl. Mid-West continued to operate its automotive companies as well as continue to build, renovate and manage commercial real estate in a growing Saskatoon portfolio. Mid-West ventured south and started to do business in Phoenix, building a mall and several housing developments. As a result of the slow Saskatoon market, Ken sought out other opportunities for Mid-West and found a joint venture opportunity in Vancouver. By 1990 they began building houses – in this business venture, Mid-West built more houses in the Vancouver area than there were residential permits issued for all of Saskatoon. In an effort to further expand Mid-West, Ken put together a deal with Sundquist Homes in the Seattle area whereby the two companies would partner to develop residential real estate. Over the next 25 years, the companies would come together to build many single-family residential developments, apartment buildings and commercial buildings in the greater Seattle area. Ken and Colleen formed a new company, Meridian Development, with Karl Miller. Meridian started with infill residential projects but quickly garnered respect in Saskatoon for larger scale projects such as the redevelopment of the King George Hotel, the University of Saskatchewan student housing and Luthercare Village seniors’ centre in Stonebridge. Mid-West undertakes several successful ventures in the Palm Springs, Seattle, Edmonton and Phoenix areas. Ken Achs was honoured with the Fraser-Gatrell Memorial Award for a distinguished contribution to planning by the Association of Professional Community Planners of Saskatchewan (APCPS). This award is presented to a person who is a non-member of APCPS that has made significant contribution to the promotion of planning and who has directly enhanced the planning profession. Ken Achs was personally honoured with the prestigious Saskatchewan Architectural Heritage Society’s President’s Award, an honour rarely bestowed in the long history of the organization. 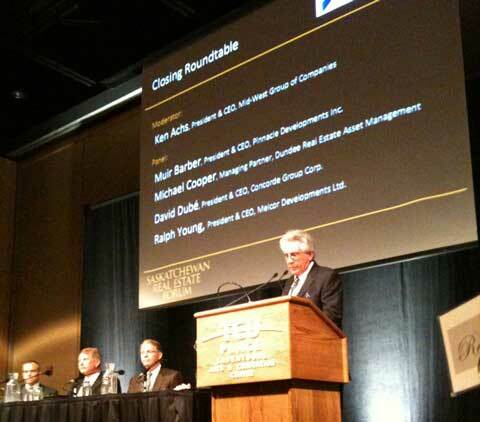 Ken Achs, with Saskatchewan’s new found reputation as the place to do business in Canada, was asked to chair the inaugural Saskatchewan Real Estate Forum attended by the ‘Who’s Who’ of Western Canadian real estate. Saskatoon’s first AA-class office building, the Nexus Building at 450 2nd Avenue North, is completed. 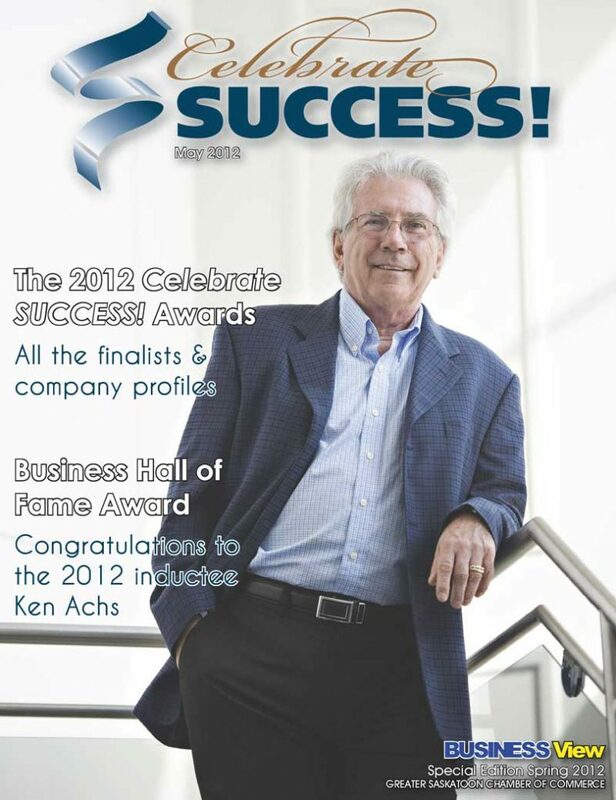 In recognition of his overall achievement in business excellence, in 2012, Ken Achs was inducted to the SABEX Business Hall of Fame. 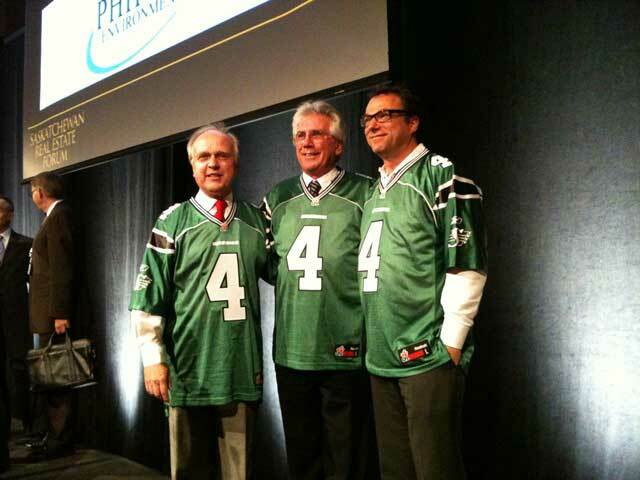 His commitment to paying it forward with his exceptional efforts in promoting entrepreneurship in Saskatchewan. Ken Achs was honoured with the Raj Manek Mentorship Program’s Above and Beyond Award. 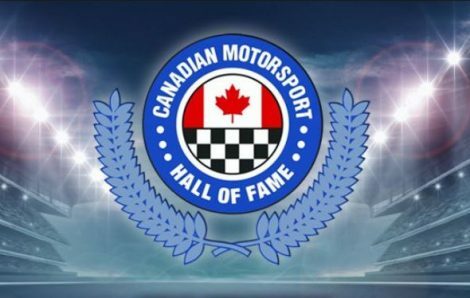 Ken Achs inducted into the Canadian Drag Racing Hall of Fame. Ken Achs and Colleen Wilson, together with Saskatoon, honour Joni Mitchell. Ken Achs and Colleen Wilson inducted into the Junior Achievement of Saskatchewan Business Hall of Fame. Ken Achs honoured as star of “Driven – the Ken Achs Story”, a movie produced by the NSBA as part of its prestigious Popcorn and Entrepreneurship Series.